I blame Siri for this, but apparently it’s October. Specifically October 4! 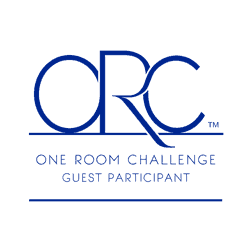 Which means… another round of the incomparable One Room Challenge! To get you all up to speed… here’s the deal. 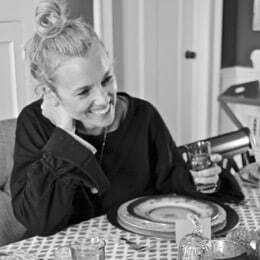 Linda from Calling It Home started this lark and it’s a chance for DIY/ Decor bloggers to makeover an ENTIRE room during a 6-week stretch and link up each week to share their progress! It can be both overwhelming and motivating and its so fun to see what everyone chooses to take on! I’m planning to take on our 3rd floor bathroom! 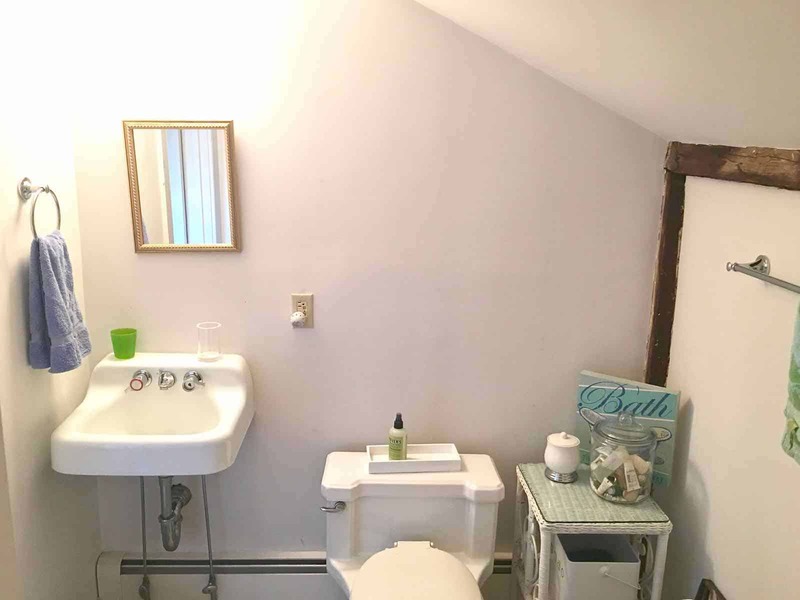 Our third floor is a converted attic that we use for a guest room. There’s probably someone sleeping up there 21 nights a year so it’s hardly a busy spot, but as you can see, the bathroom is dated-amundo. Our budget for this makeover is about $5. In a Publisher’s Clearing House world, I’d pull out the shower, re-tile the floor, move around a wall or two and bang out a skylight. But since no giant checks are lurking and our historic district commission won’t allow skylights, here’s my plan. Yep. Big bright bold. These are all different ones from Spoonflower that I loved… Thoughts? I’m not sure I could find a more dated light fixture if I tried, so bye bye light… I’m torn between these lovelies from Lamps Plus… which do you like???? For a hot second, I considered tile. 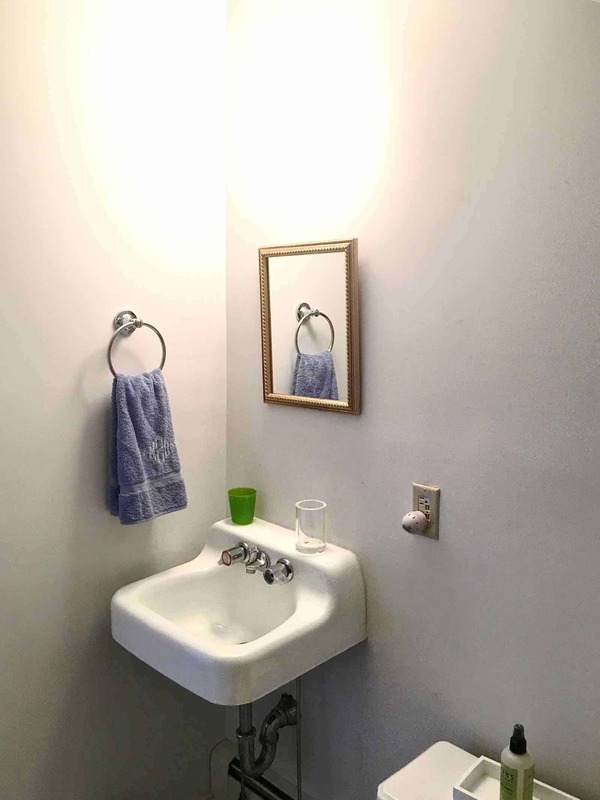 But then I realized that I’d have to maneuver the baseboard heaters, the toilet, the subfloor… at the time of publication, I’m thinking I’ll just paint it. But I have 5 weeks to change my mind so don’t hold me to this. The space needs a better table and some artwork and linens, etc. That’s the easy part of any room makeover, so stay tuned for all of this! I mocked up a couple different spaces! The first is up top, and the second is below! Which would you choose? Are you participating or following along or just eating your cookie dough without a care in the world?! No judgment here… this is safe space and all are welcome. Ha! 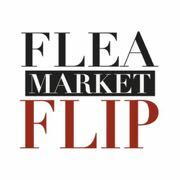 Make sure to click around and visit all the other talented bloggers! This is an exciting project! Probably a mix of excitement and anxiety for you with such a quick deadline. I love the direction you’re going in. The first option for lighting is breathtaking. I’d love to use that myself! 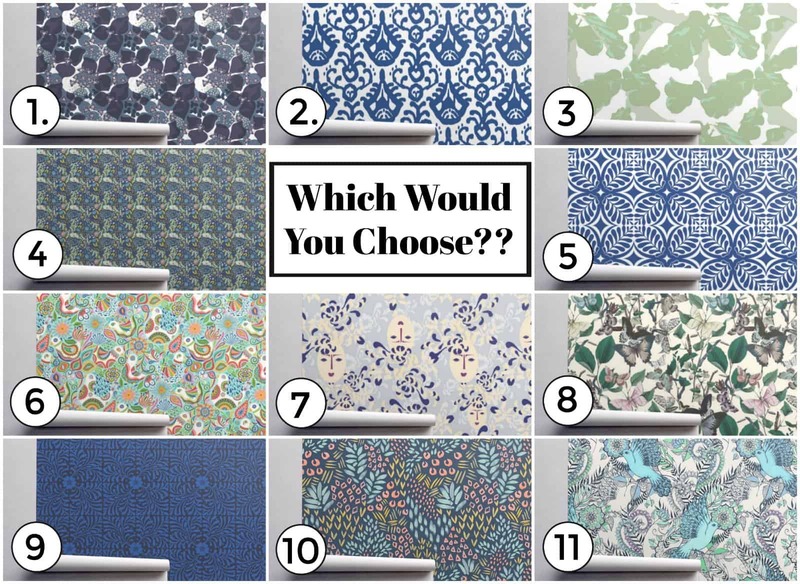 For wallpaper, b/c of my love for that lighting, I’m leaning towards option 7 or 11. They’re eye-catching but the colors are soft enough for the lighting to stand out, and still busy enough to keep the floor neutral. I just like window shopping! Thanks, Jill! I spent HOURS on Spoonflower ogling all of their paper! Excited to get started! Oh my goodness, the wallpaper struggle is real!!!! 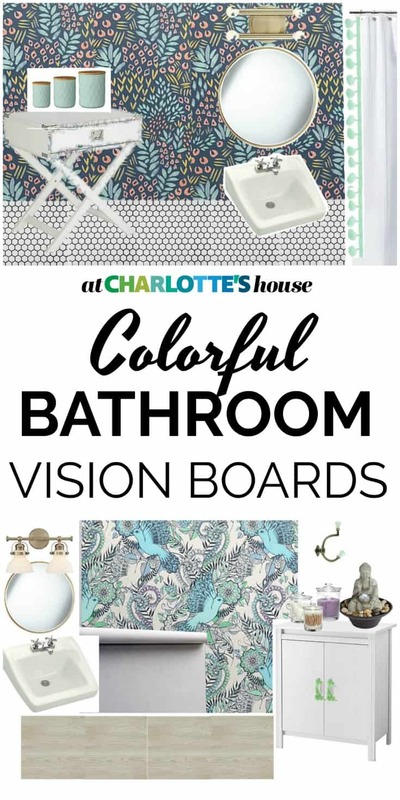 i have found “the one” like a hundred times for my powder room. finally just placed an order today so there is no going back! but it’s so hard to commit! good luck…this looks like it’s going to be a fun one. 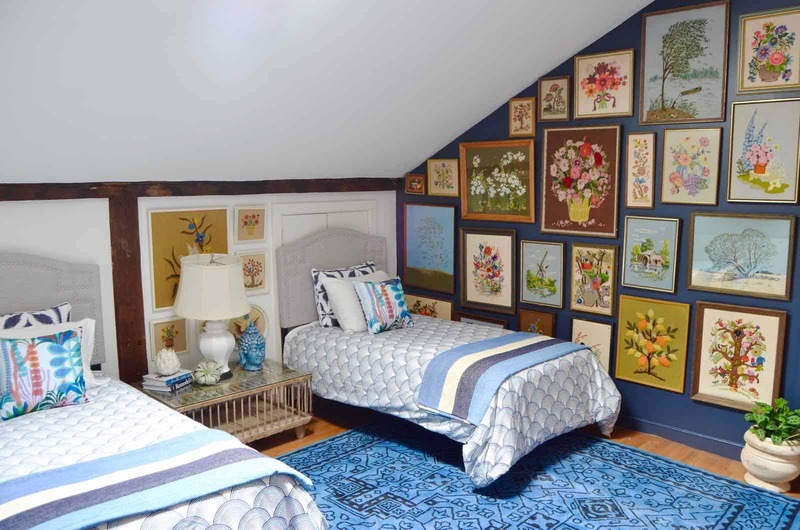 oh, and your attic guest room is seriously darling. HUNDREDS!!! 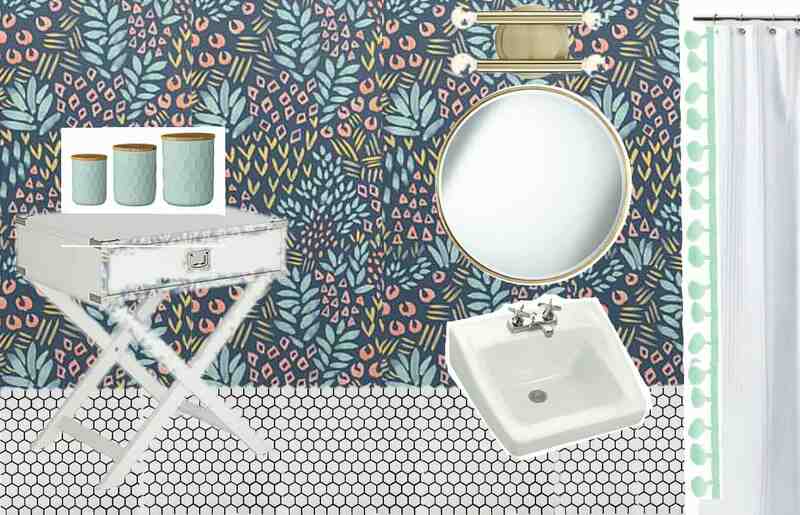 And if you’ve ever taken wallpaper DOWN then you know how important it is to get it right! Haha! Good luck with your room! Thanks so much, Jennifer! Excited to brighten up our space! Good luck! Ha! Yeah… I know I should but… gah it’s so much more work. 🙂 🙂 Thank you! I love how fearlessly you use color and pattern! I vote for light fixture #1 and any of the divine wallpapers! I’m obsessed with wallpaper #11. Ilove the romantic attic space. What fun to stay there! Thank you!!!! I’m excited to get to work! Hehehe! I’m chuckling here to myself because I follow your blog anyway and had been planning to check in to see if you were doing the orc this time around, but first I decided to stop by the general page for a browse. 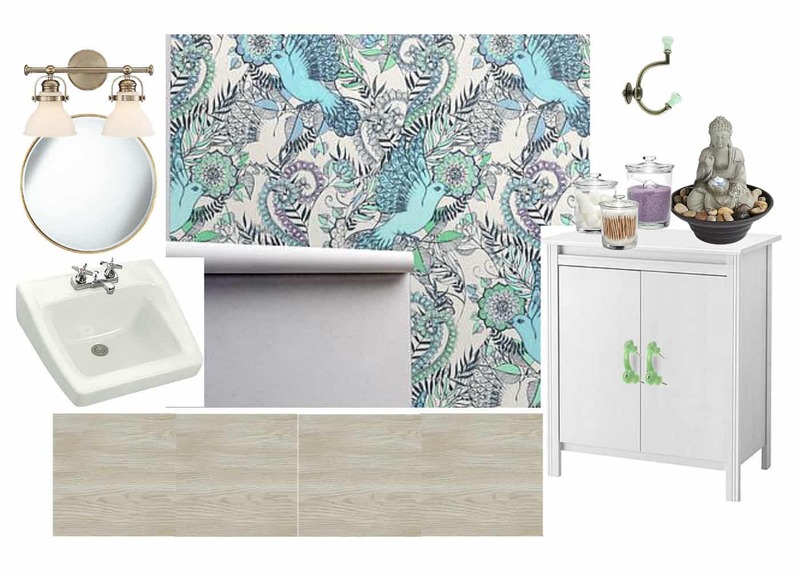 I opened any one that I liked the moodboard in the thumbnail … and one of them brought me here! 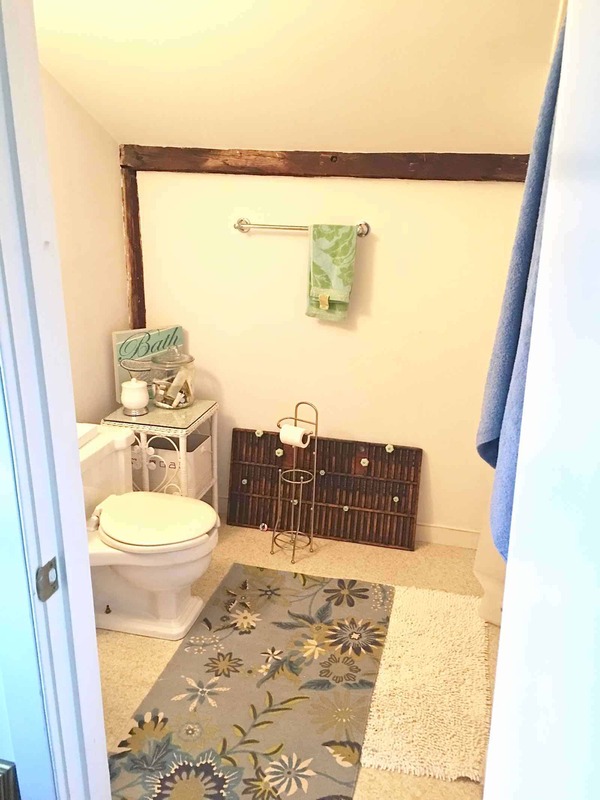 After seeing your master bath transformation, I can’t wait to see what you do with this one. FWIW, I like wallpaper #11 and light fixture #3. I’m taking part in the orc for the third time – this time I’m creating a library room in our house. Ohhhh, I love the bright colors in your inspiration photos and I can’t wait to see which wall paper you pick! I like #11 with the birds!